NOHA products are well known for their durability and high standards and we are one of the few UK stockists of their reels. We have a range of fixed, swinging, manual and automatic reels available along with specialist options for challenging environments. 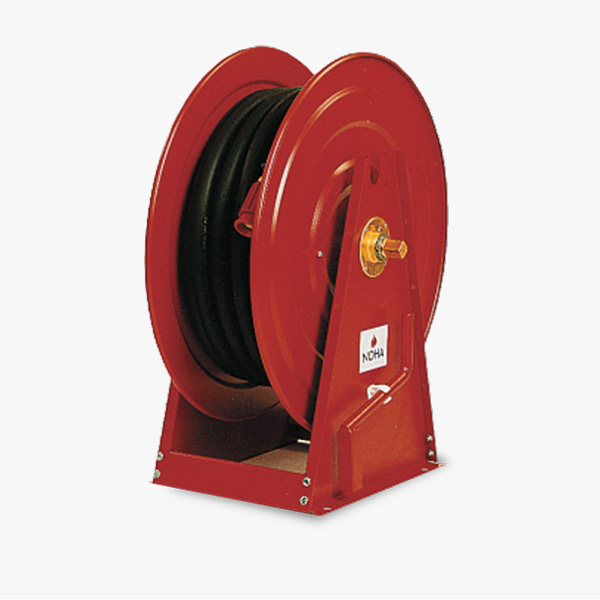 Our fixed and swinging manual hose reels are ideal for use in factories, warehouses and other large public buildings. Suitable for wall-mounting with an adjustable brake they are CE marked to NS-EN671-1 standards. 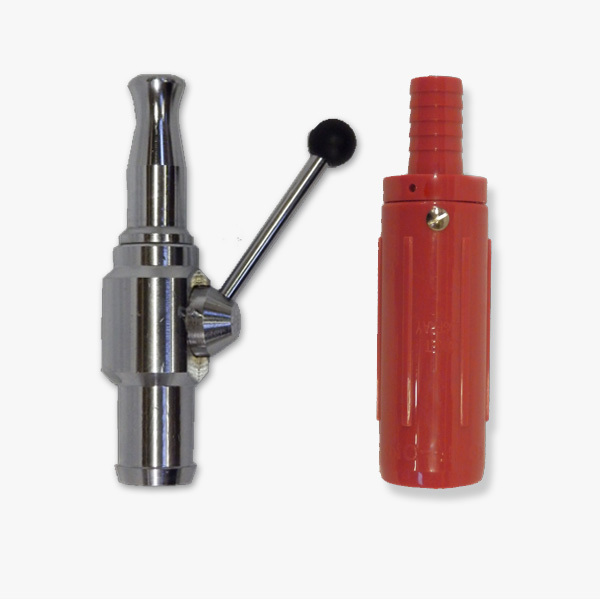 The compact unit includes 1″ manual stop valve, Jet/ Spray/ Shut off Nozzle and wall-mounted bracket. 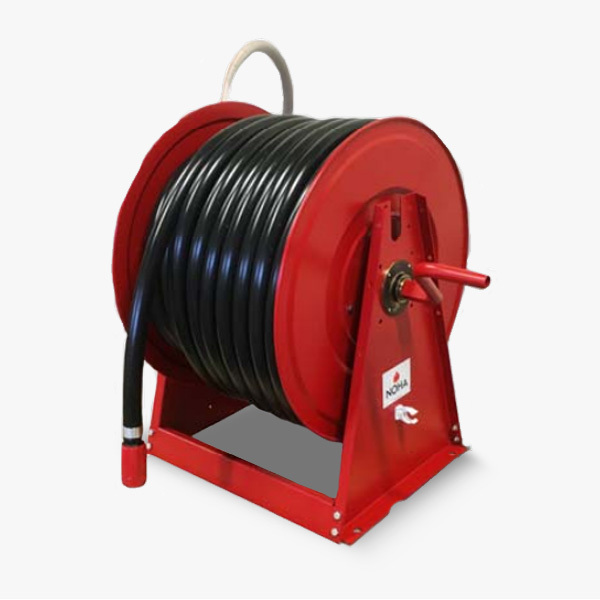 Our fixed and swinging automatic hose reels have an automatic stop valve that opens to provide full capacity within just two revolutions of the reel. They are ideal for use in factories, warehouses and other large public spaces with an adjustable brake. The compact unit includes and Jet/ Spray/ Shut off Nozzle and wall-mounted bracket. 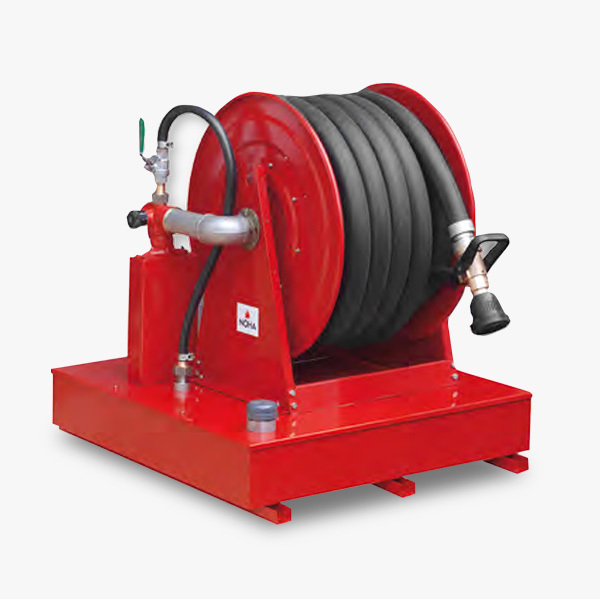 Our NOHA Special fire hose reel with foam tank is primarily for use in drilling, offshore production areas and at petrochemical plants, helideck and industrial sites. It contains gun metal piping parts for use with sea water. 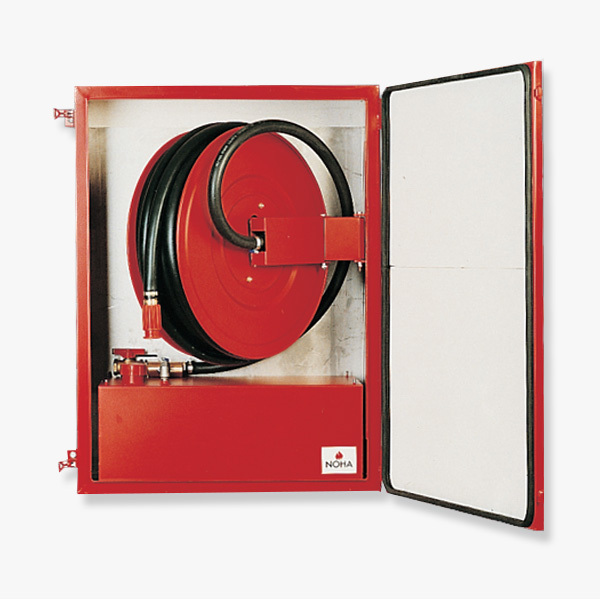 Our NOHA special offshore fire hose reel with swing- arm is ideal for use in accommodation and living quarters, drilling areas, production areas offshore and at petrochemical plants. It contains gun metal piping parts for use with sea water. 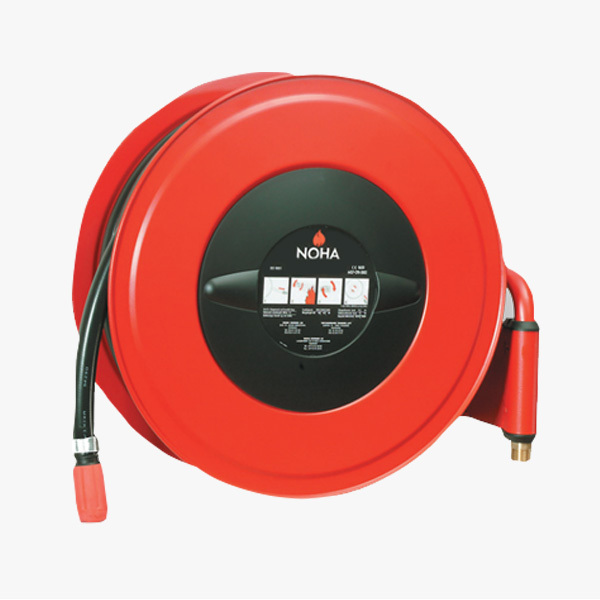 Our NOHA special fire hose reel and cabinet with 50 litre foam tank is ideal for mounting outdoors or in a corrosive environment. The stainless steel cabinet is splash-proof, insulated and equipped with a thermostatically controlled heating element and can withstand temperatures down to -35°C (measured in zero wind) without the water freezing. 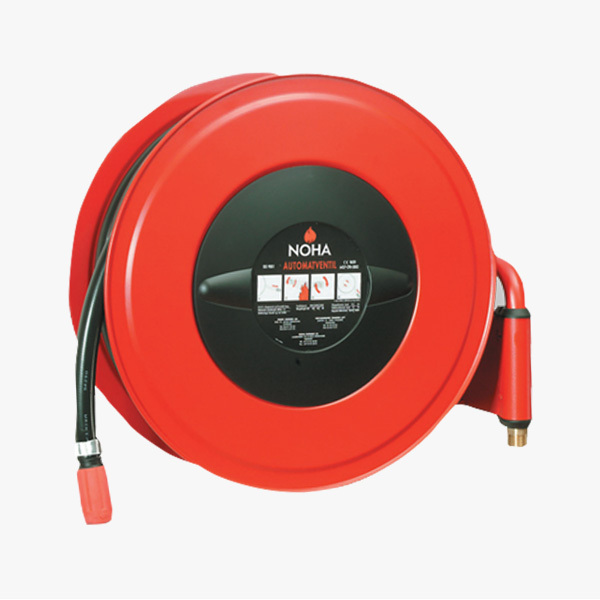 Our NOHA special fire hose reel with 25 litre foam tank provides 80 litres of water per minute mixed with 3% foam concentrate at 6 bar water pressure. Suitable for fighting fires involving carboniferous materials and flammable liquids; the foam works as a wetting agent effective against deep-seated fires. Is also recommended for sealing spills of flammable liquids. Our NOHA Special Model S41 for long hoses is a robust solution for fresh water use. For use in fire extinguishing and general cleaning and maintenance activities it can be wall or floor mounted. It has a hand crank to rewind the hose and the water supply is situated through the centre of the reel. 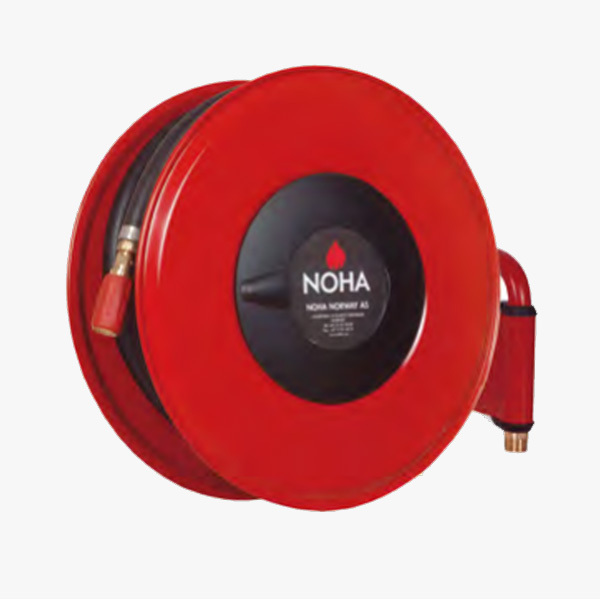 Our NOHA Special fire hose reel is similar to the Model S41 but has special waterways making it suitable for use with working pressures up to 60 bar. It can be supplied with 10 mm, 13 mm or 19 mm diameter hose. 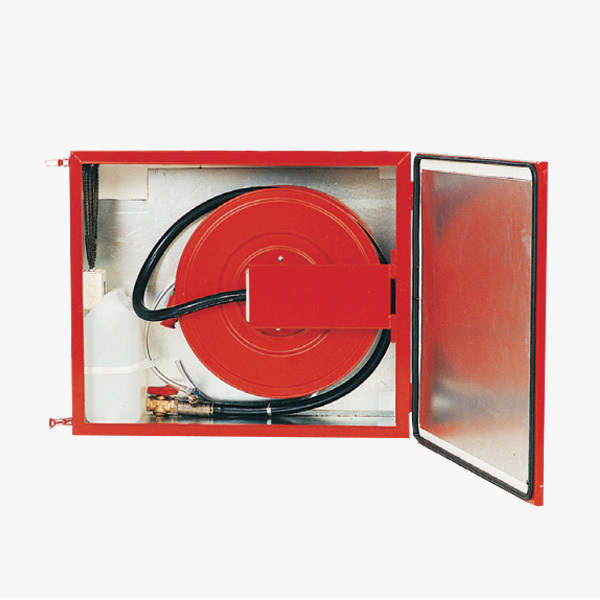 Our NOHA hose reel with steel cabinet and 10 litre foam tank is the perfect cabinet-mounted hose reel for petrol stations and other corrosive environments. 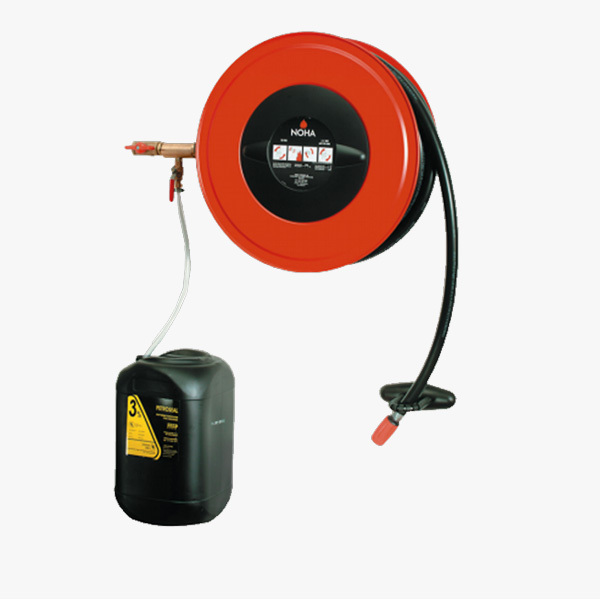 The swinging hose reel is combined with 3% foam inductor, fed from a 10-litre foam container with an action time of approximately 4 minutes. We stock a range of hose reel nozzles suitable for use with fixed and swinging hose reels. Twist and lever operated options provided Off – Jet – Spray facilities in 19mm or 25mm hose tail configurations. Suitable for fire fighting and washdown applications. Our replacement hose reel tubing is manufactured to EN 694:2001 standards and is suitable for use in fixed reel installations. Available in 19mm and 25mm diameters it has a working pressure of up to 12 bar and comes in 30 metre length as standard. 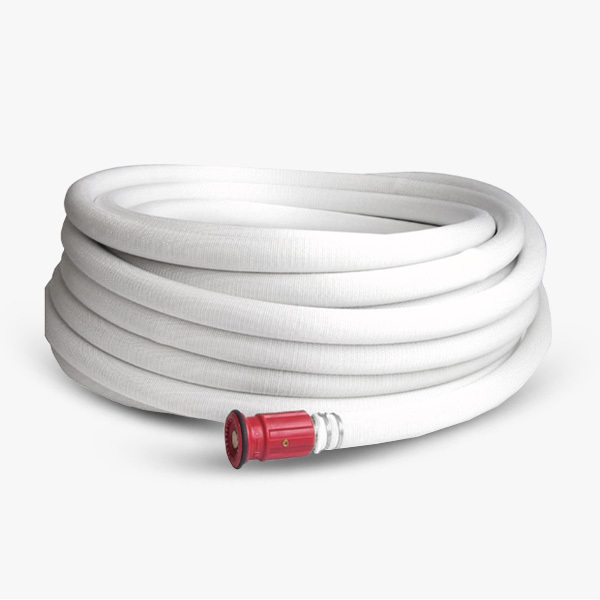 Our Monoform semi-rigid fire hose for fixed systems is classified acc. EN 694 Type B Class 5. It is extremely light weight and flexible with high abrasion resistance and long service life. 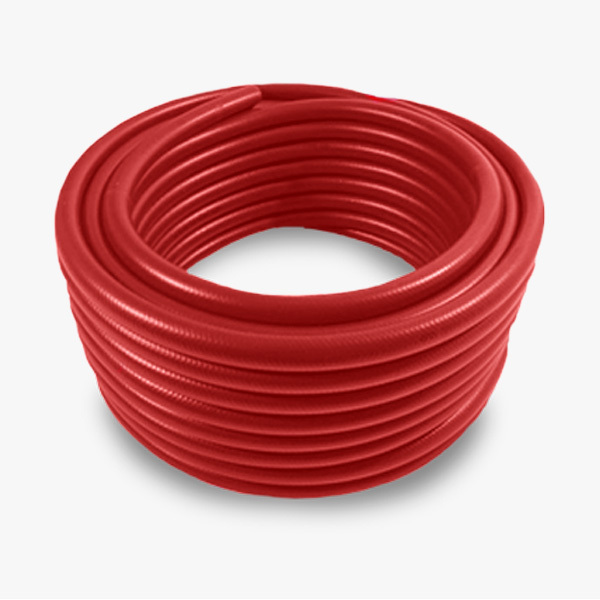 For use as compressed air hose Monoform can also be produced with an oil resistant lining.